Newly revealed video shows the #1 al-Nusra Front terrorist in Syria Abdullah al-Muhaysini admitting the White Helmets are Mujadadeen islamic fighters. Abdullah al-Muhaysini declares that the White Helmets (who reported on and attended the April 4th, 2017 Idlib chemical massacre) are mujahideen (Islamic jihadists). This second video below clearly shows al-Nusra Front leader Muhaysini addressing a meeting of ISIS fighters and encouraging them to join the al-Nusra Front terrorist group. This highlights the fact that all the groups attempting to overthrow the legitimate government in Syria are intertwined with the al-Nusra Front who are the largest terrorist group involved in the war against Syria. The fact they are the largest group fighting in Syria was highlighted on CNN by US Congresswoman Tulsi Gabbard on January 25th, 2017 as show in the third video provided below. The above video of Muhaysini also stating that the White Helmets Syrian Civil Defense are Mujahideen highlights the fact that he personally acknowledges that all these groups are instruments which he utilizes and that they work together to achieve his murderous terrorism goals. In the link above, he clearly asks ISIS to join his al-Nusra Front terrorist group. Here is a also a screen cap shot from my Live Leak account where the video was also removed by a moderator. This moderator is particularly focusing on removing subject matter that exposes the terrorist ruses in Syria as is evident by the items he/she rejects when I post them to Live leak. 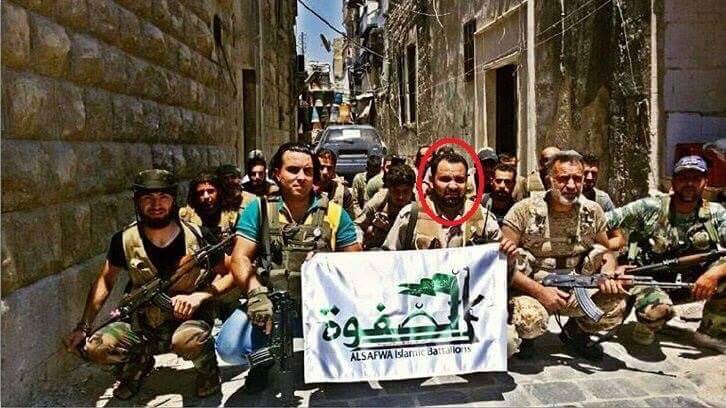 On November 10th, 2016 the U.S. Treasury Department finally designated al-Muhaysini as the lead terrorist in charge of al-Nusra Front (al-Qaeda) in Syria. This occurred one day after the US election. It is of serious note that the US government allowed him free reign for the entire last 5 and a half years of the Saudi and Qatari funded Syrian war. The video below features US Congresswoman Tulsi Gabbard explaining that al-Nusra Front are the largest terrorist group in Syria. She does this as she cuts through the obvious and pathetic talking points of CNN propagandist stooge Jake Tapper. His talking points fail miserably in the video and below I highlight the father of Bana Albed (who Jake smugly promotes) as a terrorist. A collage of photos links Bana family friends………….to child beheaders….and summer 2016 Boy in the Ambulance photographer. 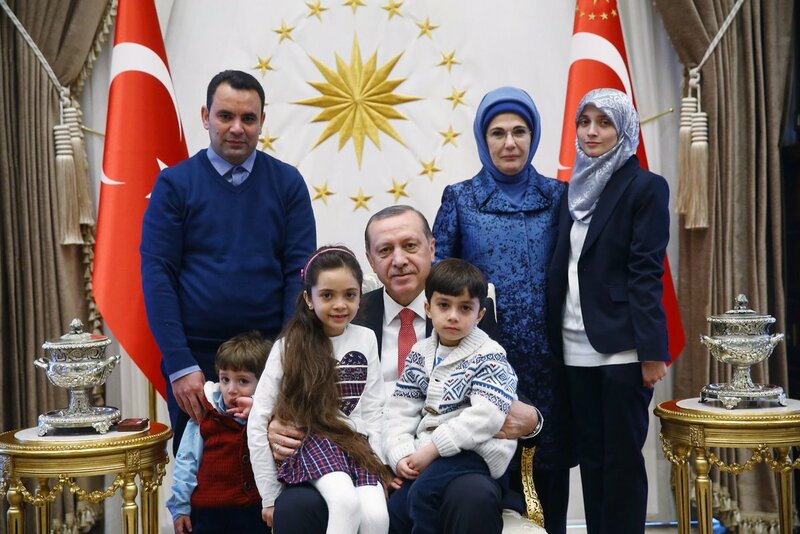 Bana family with Erdogan in Turkey……. Bana’s father al-Abed Ghassan with al-Nusra Front terrorists….. 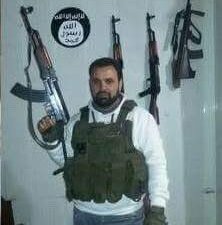 Note al-Nusra Front (al-Qaeda) symbol on wall……..
7 year old Bana with al-Nusra Front propaganda disseminator Hadi Abdullah…. Hadi Abdullah with al-Nusra Front leader al-Muhaysini……. Hadi Abdullah with al-Nusra Front/ISIS……. The video below highlights numerous instances that Hadi Abdullah (Bana family friend and al-Muhaysini partner) is hugging, congratulating and kissing members of al-Nusra front in Syria which is under the command of Abdullah al-Muhaysini. The video of Hadi Abdullah kissing, hugging and congratulating terrorists has also been removed from You Tube. Here’s is a Live Leak link to the video which was removed. Excerpt: The 2016 Reporters Without Borders (RSF) – TV5 Monde Press Freedom Prize will be awarded to Syrian reporter Hadi Abdullah, the Chinese news website 64Tianwang, and Chinese citizen journalists Lu Yuyu and Li Tingyu at a ceremony in Strasbourg tomorrow evening (8 November). Hadi Abdullah is being awarded the prize in the journalist category. He is a 29-year-old freelance reporter who has braved many dangers to cover the war in Syria, entering high-risk areas where few colleagues venture in order to film and to enable civil society’s actors to speak to the outside world. He has had many brushes with death and was briefly kidnapped by the Al-Nusra Front last January. His cameraman, Khaled al-Issa, was killed in June by an explosive device left outside the home they shared, and Abdullah himself was badly injured by the blast. The US Embassy in Syria was also caught congratulating Hadi Abdullah for that French Reporters Without Borders award on their Twitter feed as shown via the link below. 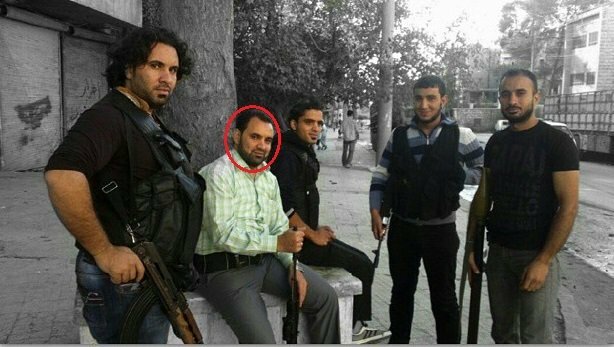 Bilal Abdul-Kareem was also featured in the US media’s “Last Voices in Aleppo” propaganda campaign in December 2016. It’s noteworthy that the entire US media has now gone quiet about what is going on in Aleppo after the Syrian and Russian armed forces liberated the city. The US media has also stopped reporting on the White Helmets as there headquarters was found to be empty and the $100 million in funding for them obviously did not go to any part of East Aleppo. The question remains to be answered as to where the money actually went. What the images, videos and links above show is that these individuals are all linked together. They are all part and parcel of the same propaganda ruse…….and the US media has openly worked to exploit that ruse and lie to the American people and the world as a whole. This is the greatest fraud of the 21st century. We still need to talk about the Boy in the Ambulance to understand fully how the corrupt and complicit US and EU media exploited these children and covered up for the terrorists that have been destroying lives and infrastructure in Syria……. Please help spread this post far and wide so people can see what is really going on with the regime change agenda that western powers are orchestrating in Syria. The video directly above has once again been made unavailable. Here is another copy cued up directly to the remarks by Abdullah al-Muhaysini asking ISIS to join his ranks. Its amazing that majority of people are happy to accept that Saudi Arabia, Israel, UK, US are sponsoring terrorism. In the end of the day, the buck stops with Obama, Trump and all other world leaders, so ultimately they should be responsible for the deaths of Syrians by these terrorists. Its unbelievable they are turning a blind eye because of their own agendas, absolute disgrace! Totally agree Tom. The regimes you mention are the real monsters behind all this killing. They thrive on it everyday while they lie and deceive humanity.